Santa Clara University law professor Eric Goldman is an expert on internet speech. 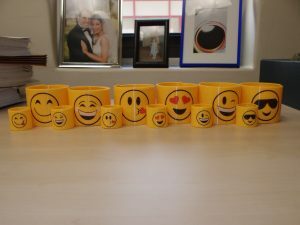 Lately, he’s been rather obsessed with a topic that most lawyers probably have never stopped to think about—the ways that emojis are creeping into court cases and how judges and litigants are dealing with them. What areas of law are being impacted by emojis—and can you give a few quick examples? Goldman: Emojis show up in virtually every practice area because emojis are showing up across all types of online communications. Emojis show up most frequently in cases where online chatter is a key source of evidence. By far the most common types of cases involving emojis are sexual predation cases, where the perpetrator and the victim (or an undercover cop) exchange flirtatious or sexual banter, often a form of victim grooming. For similar reasons, employment discrimination cases show up disproportionately frequently in my list of emoji cases. In 2017, you wrote a paper that surveyed emoji references in about 80 court opinions and warned lawyers and judges to prepare for “the coming emoji onslaught.” What are some more recent developments that have come to your attention? Goldman: We’re seeing a J-curve of exponential growth of references to emojis in court opinions. 30 percent of the all-time number of opinion references to emojis occurred just in 2018. Unfortunately, opinions still struggle with displaying emojis. Opinions routinely omit the emojis altogether, or the judge imprecisely characterizes the emoji(s) in evidence. (It doesn’t help to call an emoji a “smiley” because there are a dozen different smiling emoji symbols). Furthermore, Westlaw and Lexis still usually do not display emojis, and neither database makes it possible to search for emojis in court opinions. So while the number of court opinions referencing emojis is growing rapidly, the court publication process remains woefully under-prepared. Another recent development: In 2016 and 2017, there were still substantial differences in how online platforms depicted the same emoji symbols. In the past couple of years, many platforms have done a lot to harmonize their depictions of emojis. The depictions between platforms are not as starkly different as they used to be. However, there are still inexplicable minor variations across platforms, so real harmonization of emoji depictions seems far away. The diversity of emoji depictions across platforms will inevitably cause lawsuits. As one empirical study recently found: “at least 25% of respondents were unaware that the emoji they posted could appear differently to their followers. Additionally, after being shown how one of their tweets rendered across platforms, 20% of respondents reported that they would have edited or not sent the tweet. These statistics reflect millions of potentially regretful tweets shared per day because people cannot see emoji rendering differences across platforms.” Those “regretful tweets” should make lawyers some good money. Isn’t actual language also subject to varying interpretation? Are emojis extra challenging in this regard or just another way that human communication is often blurry? Goldman: You’re absolutely right. Courts have been interpreting nonverbal/non-textual communications for centuries. Indeed, interpreting communications between people is one of the strengths of our judicial system. In that respect, emojis are just another type of nonverbal/non-textual communications for courts to interpret. However, emojis do have some unique attributes that require extra consideration when interpreted. I’ll mention just three key differences (there are more). First, emojis often are visually quite small, and there are many emoji symbols that look similar. Therefore, they pose a greater risk that the reader will incorrectly, but reasonably, decode an emoji symbol compared to many other forms of communication. Second, every type of communication develops regional and community-specific dialects. However, because emojis look different on different platforms, the symbols can develop platform-specific dialects. For example, on Apple, eggplants are associated with penises and peaches with butts because of how Apple depicted those emojis. For a long time, emoji users on other platforms had no idea of those connotations, because the eggplant and peach emojis on their platforms didn’t suggest those associations. Finally, because emojis display differently on different platforms, it’s entirely possible for an emoji sender and recipient to see significantly different depictions of the same symbol, meaning that both may reasonably reach entirely different interpretations. For example, for a while, Google users thought the “grinning face with smiling eyes” emoji meant “blissfully happy,” while Apple users thought it meant “ready to fight.” Thus, a Google user sending that emoji symbol to an Apple recipient might unintentionally prompt violence, even though both the Apple and Google users made reasonable interpretations of the symbol. Determining how to apportion liability when both parties made reasonable but different interpretations of the same symbol will lead to many unhappy outcomes. What is your advice for judges who confront emojis in their cases? Goldman: I have three suggestions. First, judges should make sure that the lawyers present the exact depictions that their clients saw. There are so many circumstances where the sender and recipient saw different symbols, and the differences could affect the dispute. 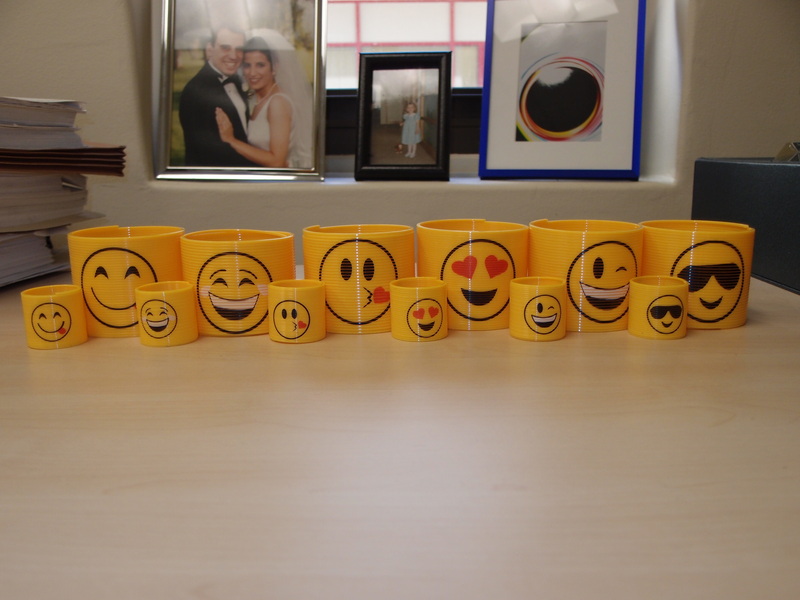 It would be a potentially major mistake for a judge or litigants to assume that there is a single canonical depiction of emojis that both parties saw identically. Second, judges should make sure that the fact-finder gets to see the actual emojis so it can figure out its meaning directly. If testimony is being read in court, the emojis should not be orally characterized but should be displayed to the fact-finder. Third, judges should display the actual emojis in their court opinions. They should not omit the emoji symbols or try to characterize them textually. The symbols might not render properly in print or Westlaw/Lexis, but they should at least appear properly in the PDFs of the court opinions. I imagine that your writing on emojis brought attention to the issue before it had even occurred to most lawyers. Is there anything new you’ve started to see with online communication that is likely to start presenting issues in the courts? Goldman: As unsettled as emoji law is today, it’s only going to get more complicated as technology evolves. For example, we generally assume emojis are static, but they can be animated. Apple’s animojis reflect the sender’s facial movements, and Samsung’s “AR emojis” are personalized animated avatars. These innovations pose even more challenges for courts to interpret, including the standard challenges associated with video evidence. Furthermore, because the unique attributes of these next-gen emojis are platform-specific, lawyers are going to need to be quite familiar with the platform’s operation to fully evaluate their cases. For more on this topic, see my roundup post, Everything You Wanted to Know About Emojis and the Law. 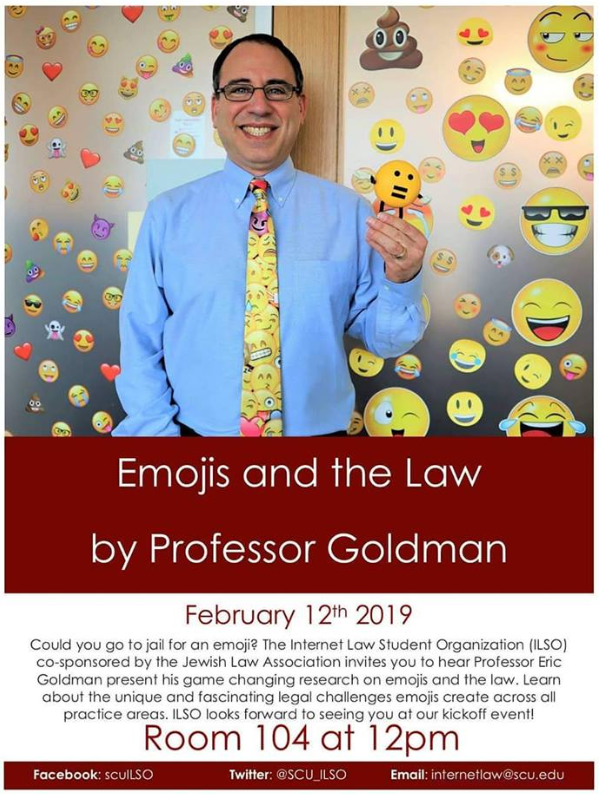 Also, a reminder that tomorrow I’m presenting on Emojis and the Law for the Internet Law Student Organization, SCU, noon to 1, Charney Hall 104. I’d love to see you there!